Follow Sisi on her Booty Building Box journey! Sisi reached out because of her new found love for fitness, she was so excited to hear about a program that offered different glute workout routines and nutrition, based on your booty goals. She loved the program so much that she decided to take all of you on her journey with her. She’s a busy girl in the city of Toronto. Her background in TV and journalism led her to beauty in makeup and now adding in her love for fitness is leading her to brand a world of lifestyle, beauty and fitness. Being so busy and trying to stay fit at the same time this program spoke to her. This program fits her lifestyle needs, as it is all at home workouts and only twice a week, ranging from 25-45min workouts. She decided to go with the ecto-booty program since she wants to build strength and volume. She will be posting workout videos along with documenting her progress. 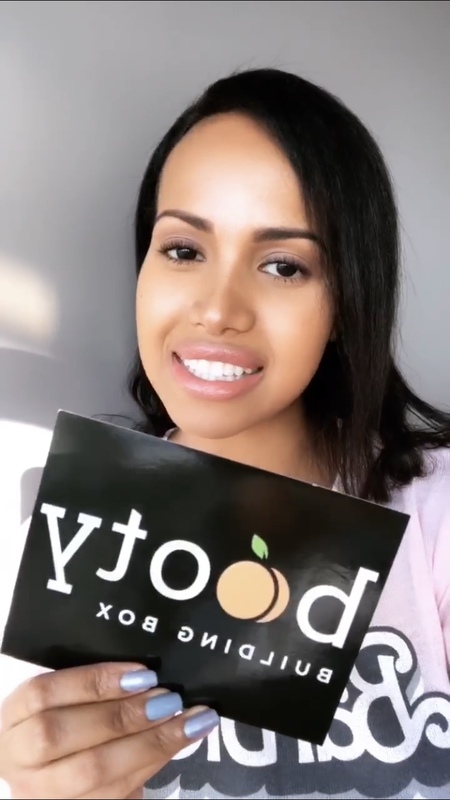 At Booty Building Box we also decided since she has such an amazing passion for the brand that we will include her in our subscriptions which will be launching soon! Stay tuned and follow Sisi for updates, follow her @Sisi.sayz on Instagram.